Hi, Friends! It’s FriYAY! Who’s ready for the weekend? ME!!! 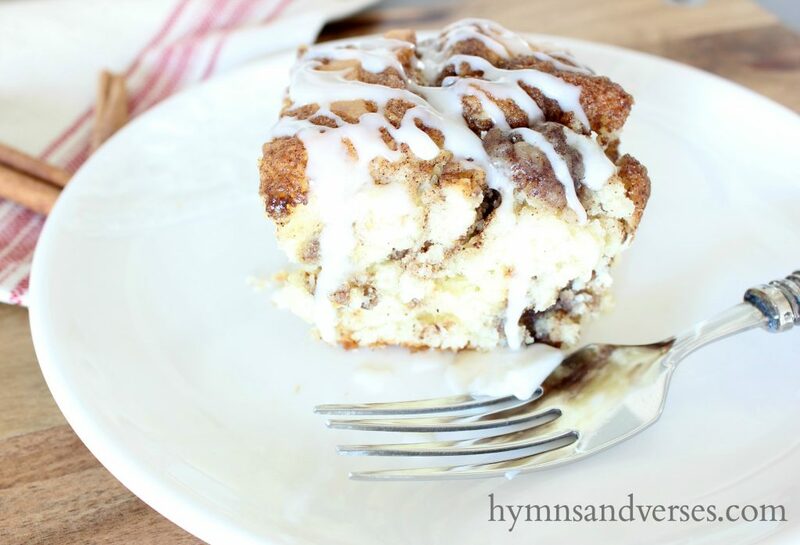 So, with a cool fall weekend ahead of us, I thought I’d share one of my favorite sweet treats for a weekend morning – cinnamon roll cake. This cake is easy to throw together and is melt in your mouth good! It’s full of all things rich and delicious and is probably not good to have very often, because it’s hard to resist! It’s a great morning cake to serve with coffee when you have overnight guests. I hope you’ll give this cinnamon roll cake a try this upcoming holiday season! Mix everything together except for the melted butter. Slowly stir in the melted butter and pour the mixture into a greased 9 x 13″ baking pan. Mix all of the topping ingredients together until well combined. Drop by spoonfuls evenly over the batter and swirl with a knife. Bake at 350 Degrees for 28 – 32 minutes. While the cake is still warm, drizzle the glaze over the cake. This cake is best when served warm! Be sure to PIN this to your recipe Pinterest boards! Thanks for stopping by today! 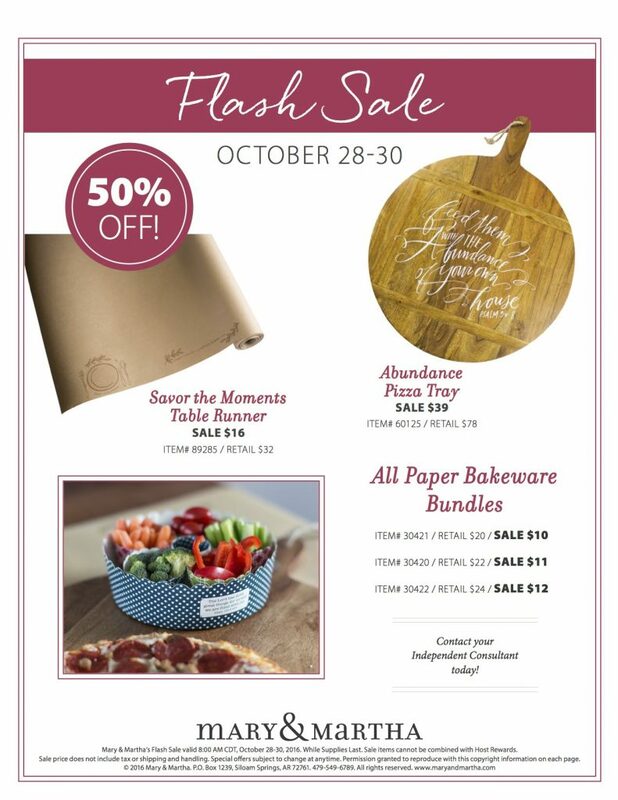 I also wanted to mention a great flash sale that Mary & Martha is having! The prices on these items are 50% off today through Sunday! This is a great deal on the Abundance Pizza Tray that I shared in the Mary & Martha gift guide last week! With this sale, it is just $39! I think I may get one myself!!! To take advantage of these Flash Sale prices, click HERE. Looks delicious. I’m making it this morning. looks so good. i really would like to make this.